What do you use between the PE/CE routers? Also OSPF? Should the london and italy sites always use their direct 100M link or is this only used as a backup? Should the london and italy sites always use their direct 100M link or is this only used as a backup? Yes that should be on so Italy site can reach the DATACENTER located in London. Check if you have an IBGP neighbor adjacency between the PE routers for the VPN address-family. Make sure that extended communities are sent between the PE routers. Make sure you see VPN routes on each PE router. Make sure you see routes on both CE routers. These are basically all the things you should check. Do we have a lesson for OSPF Sham link available? Not yet, I’ll let you know once I published it. Once I have a lesson on it, I’ll post it here. Cleared posting as usual. However I don’t see lesson on the Sham Link topic. Would you mind advise ? In the post right above yours Rene mentions he will let everyone know when he has a sham link lesson. The previous chapters described how MP-BGP Extended attributes are used to preserve some OSPF routing information and to allow two OSPF VPN sites remaining in same OSPF domain while they are connected via MPLS/VPN. In such approach, the MPLS/VPN is acting as OSPF area 0 and the PE router is regarded as an ABR router advertising the inter-site routes in type 3 Summary LSA. The routes are therefore inter-area routes. 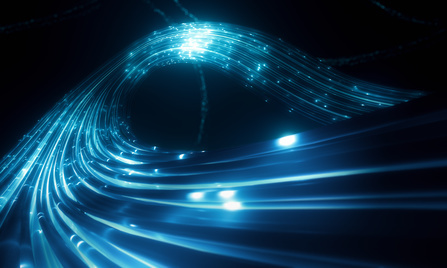 Sham Link provides virtual intra-area‘ connectivity across the MPLS VPN Super-Backbone so that traffic can be attracted to the backbone rather than taking the backdoor link between sites. A Sham link is required between any two sites that share a backdoor link. If no backdoor link exists between the sites, then a sham-link is NOT required. Thanks for sharing that, it’s much appreciated! In your case, you don’t have remote VPN users but the idea is the same. Please explain the sham link concept and OSPF loop prevention mechanism as mentioned by you.